The countdown begins! 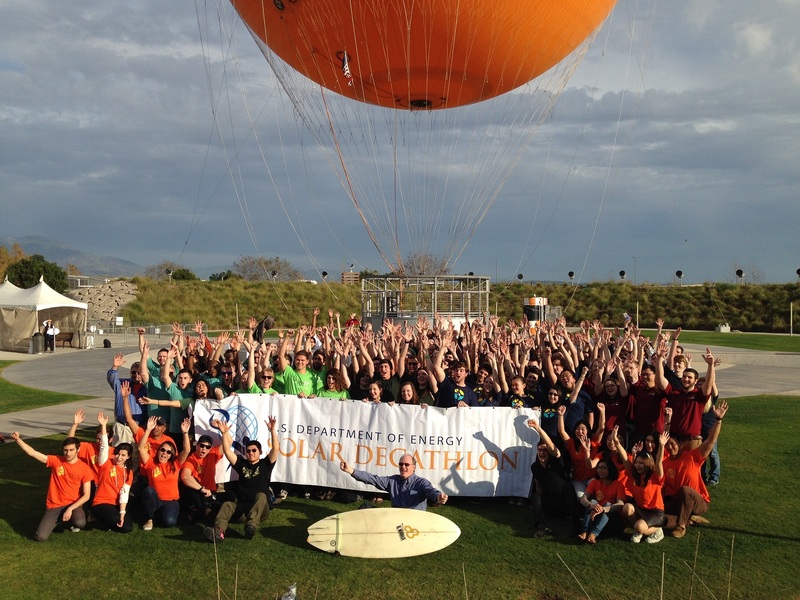 On Jan. 9 and 10, some 250 U.S. Department of Energy Solar Decathlon 2015 students, faculty, and organizers gathered in Irvine, California, for a workshop that served as the backdrop for a weekend of comradery and intense information download. On Friday, Jan. 9, the teams walked the Orange County Great Park competition site, which was marked with chalk lines to indicate the Solar Decathlon village and each team’s lot. 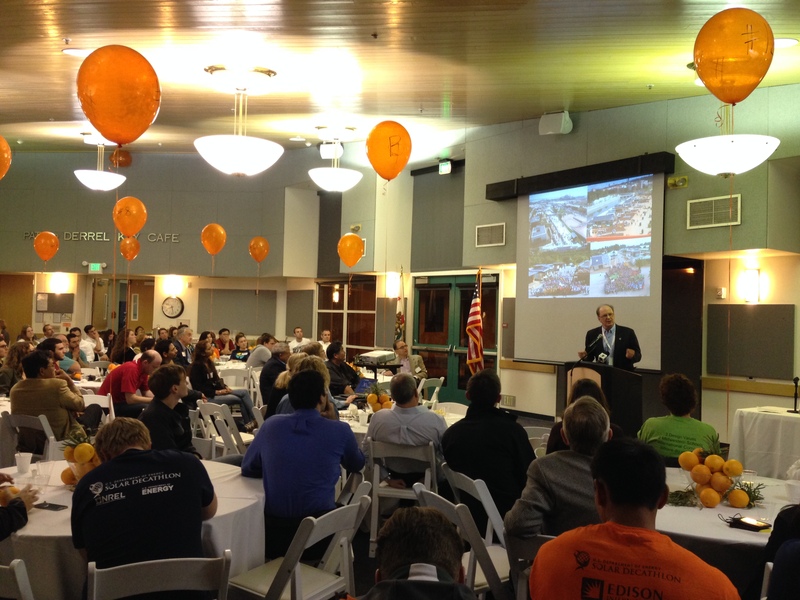 That evening, the Great Park Foundation hosted a dinner at which Irvine city council members welcomed the teams and each team presented a 3-minute introduction of its house design and philosophy. The all-day Design Development Review workshop on Saturday, Jan. 10, immersed teams in the details of this challenging collegiate competition to design, build, and operate solar-powered houses. Solar Decathlon organizers held 15 unique sessions—on topics ranging from house designs to cost estimates to communications, media relations, and sponsorships—with each team. The 17 teams participating in Solar Decathlon 2015 include seven teams that have participated in past U.S. competitions. Since 2002, the U.S. Department of Energy Solar Decathlon has involved 130 collegiate teams and nearly 20,000 decathletes. This entry was posted on Wednesday, January 14th, 2015 at 5:44 pm and is filed under Competition, Events, Solar Decathlon, Solar Decathlon 2015.